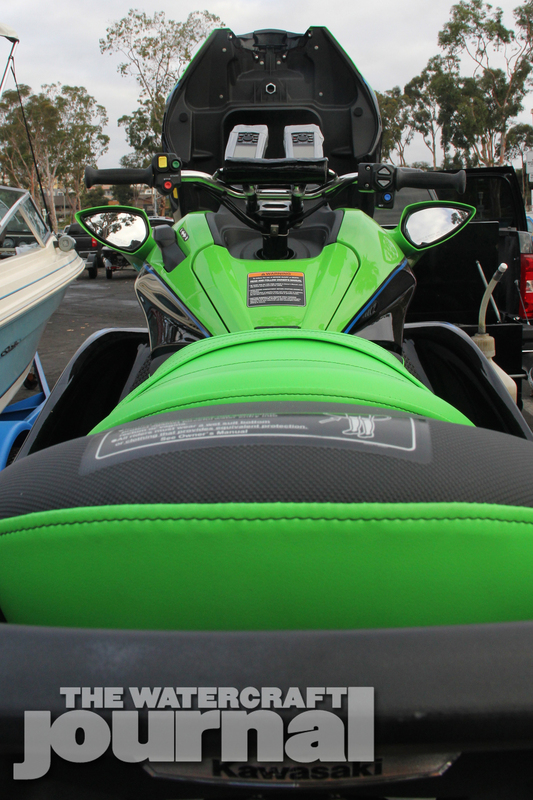 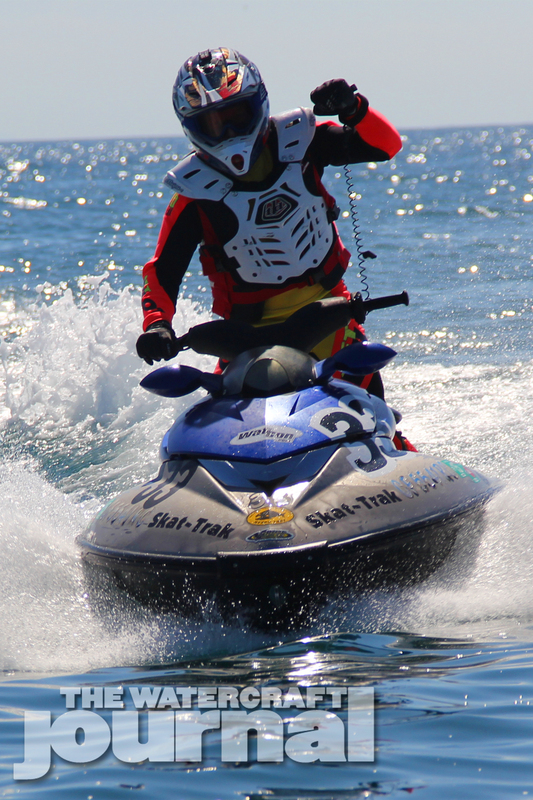 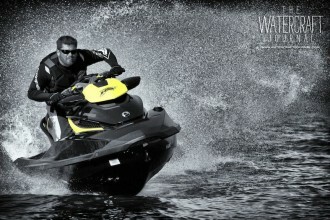 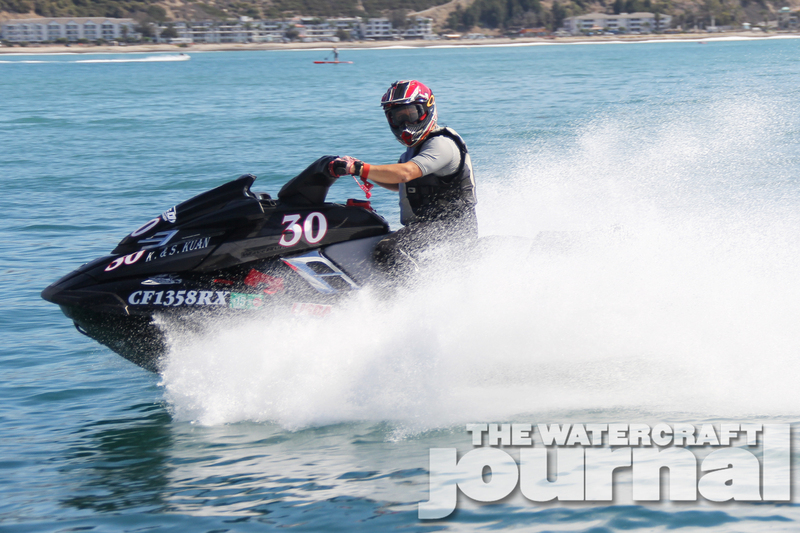 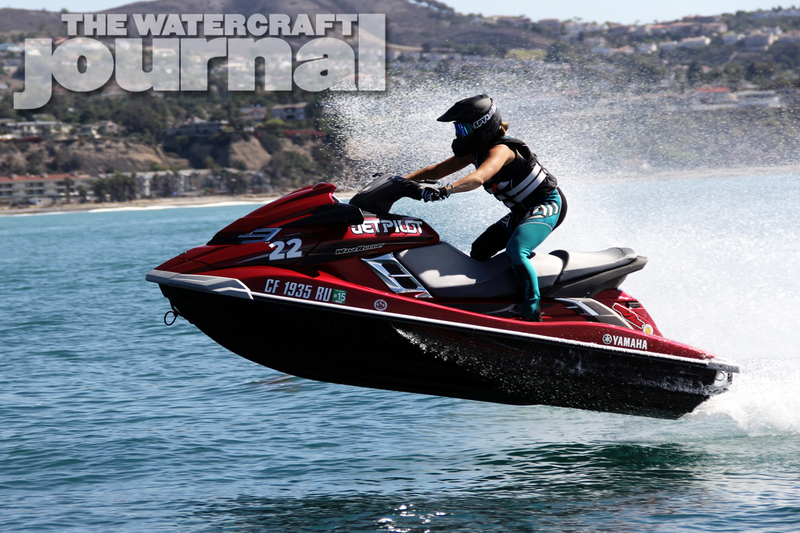 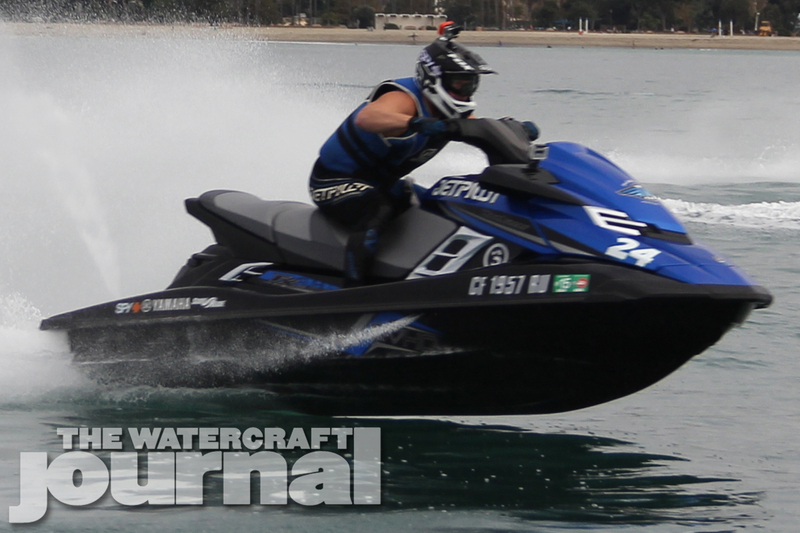 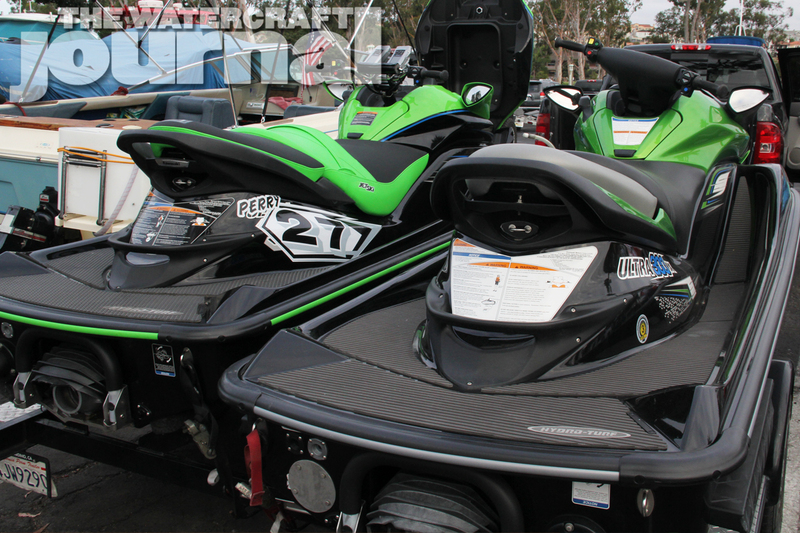 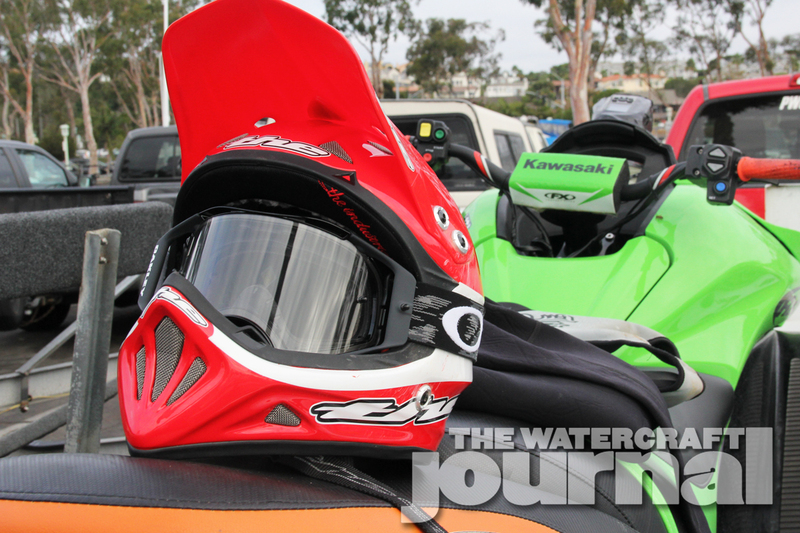 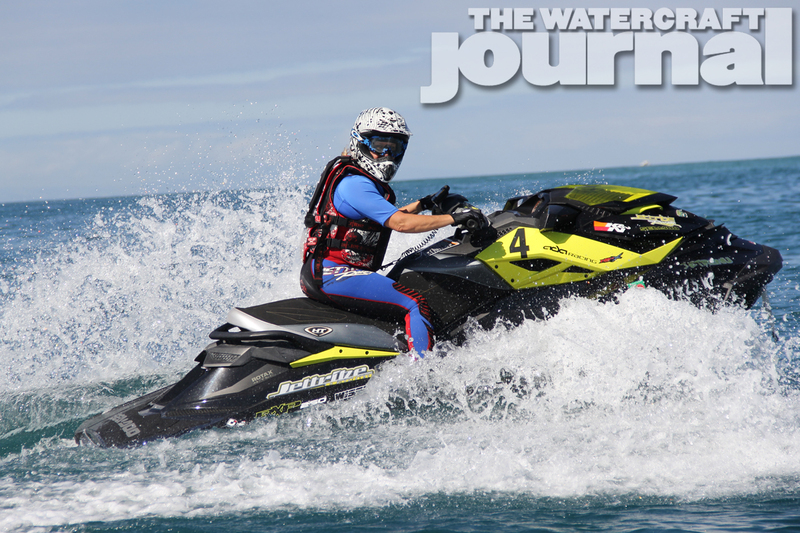 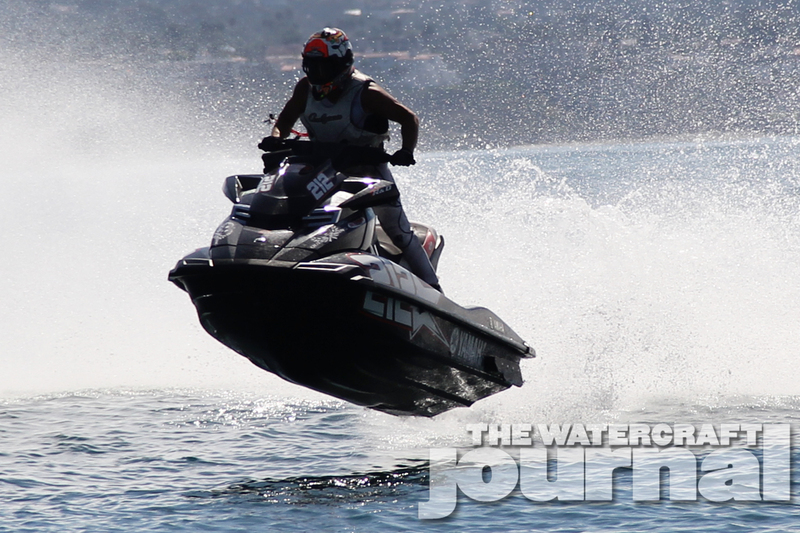 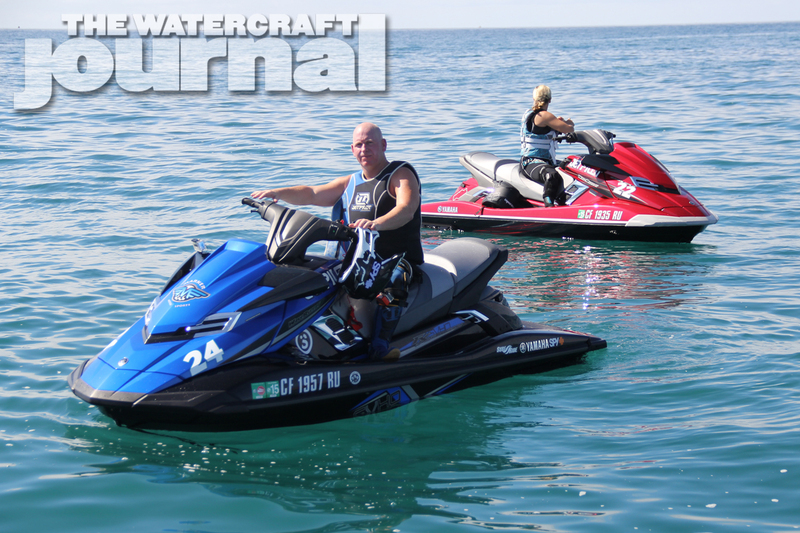 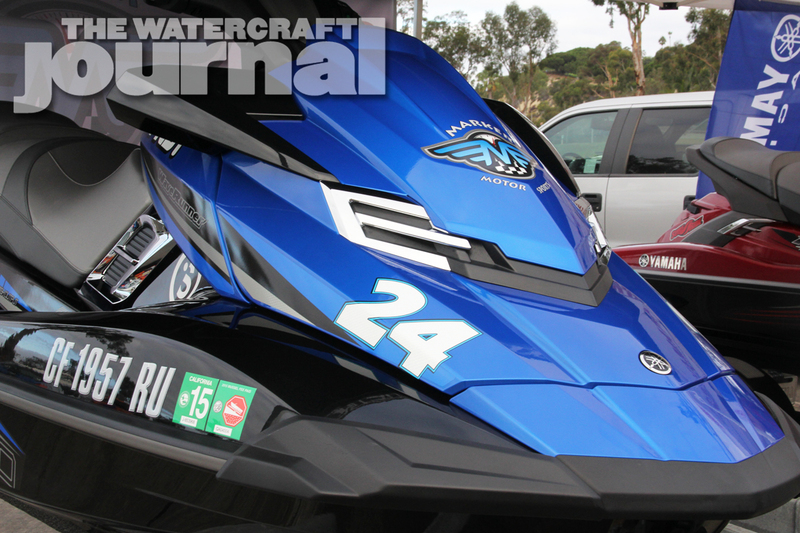 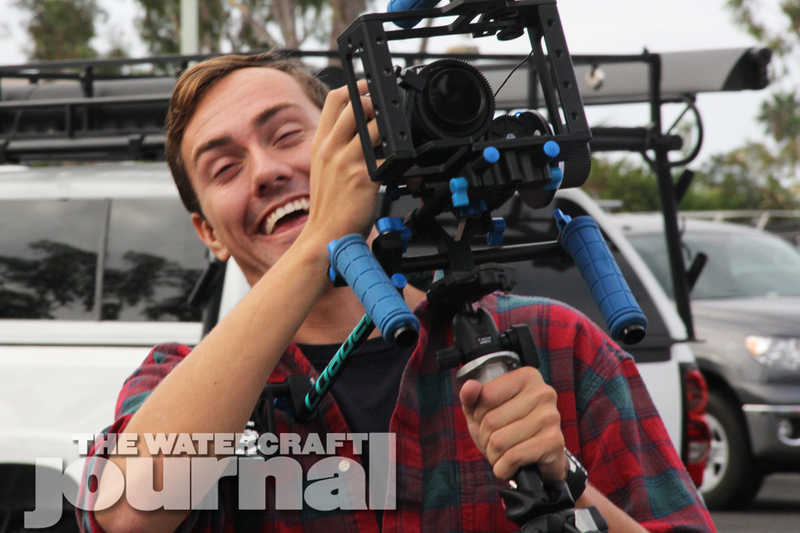 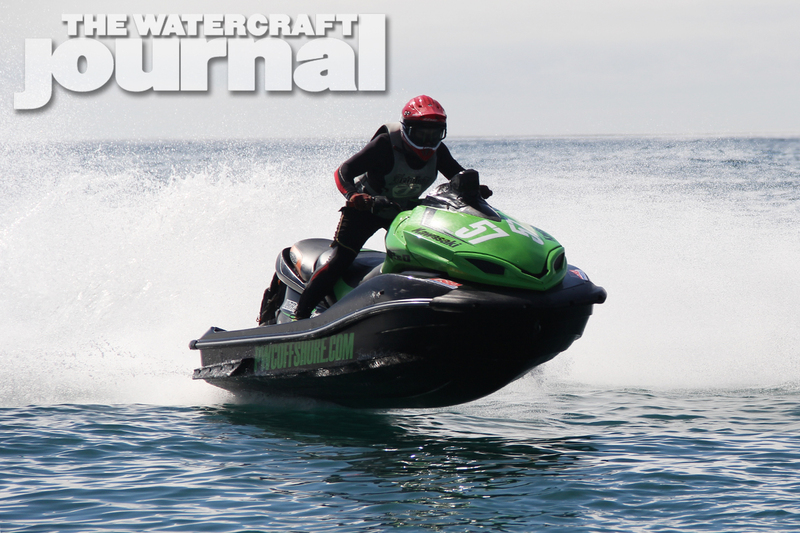 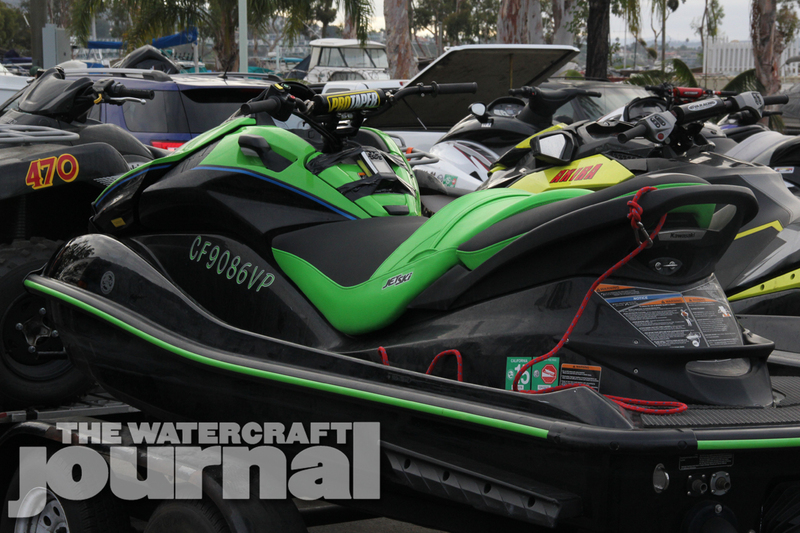 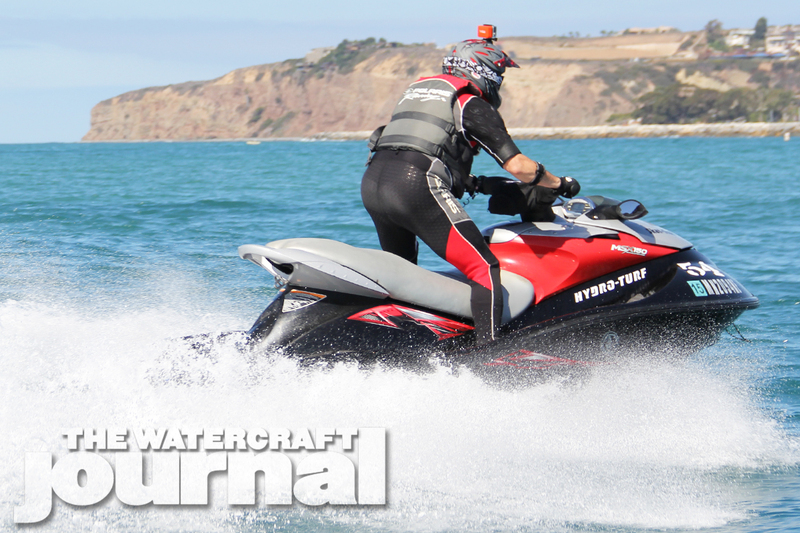 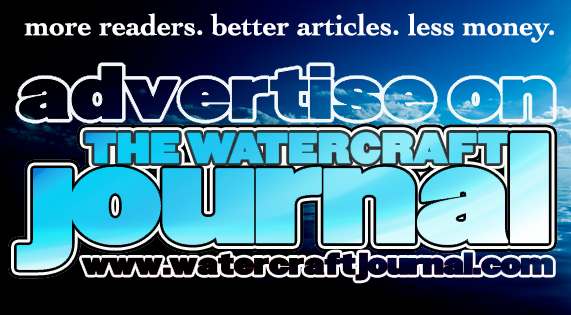 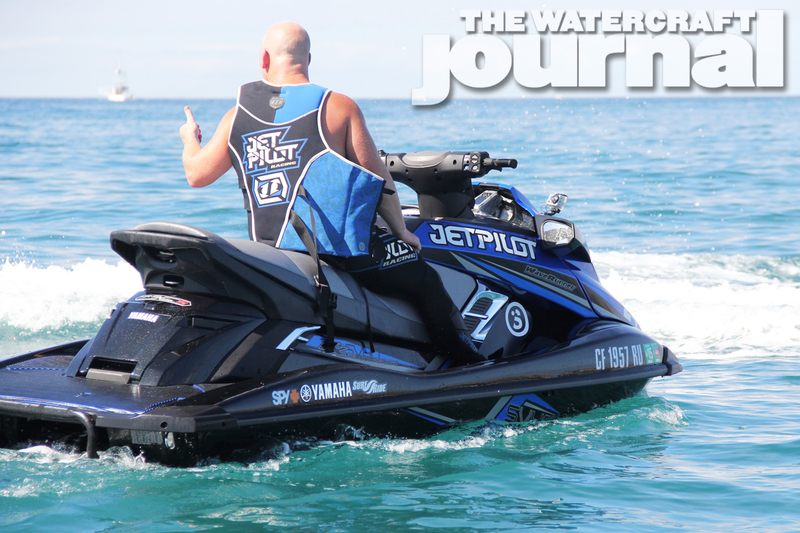 Gallery: 2014 Dana Point to Oceanside & Back Offshore Sprint | The Watercraft Journal | the best resource for JetSki, WaveRunner, and SeaDoo enthusiasts and most popular Personal WaterCraft site in the world! 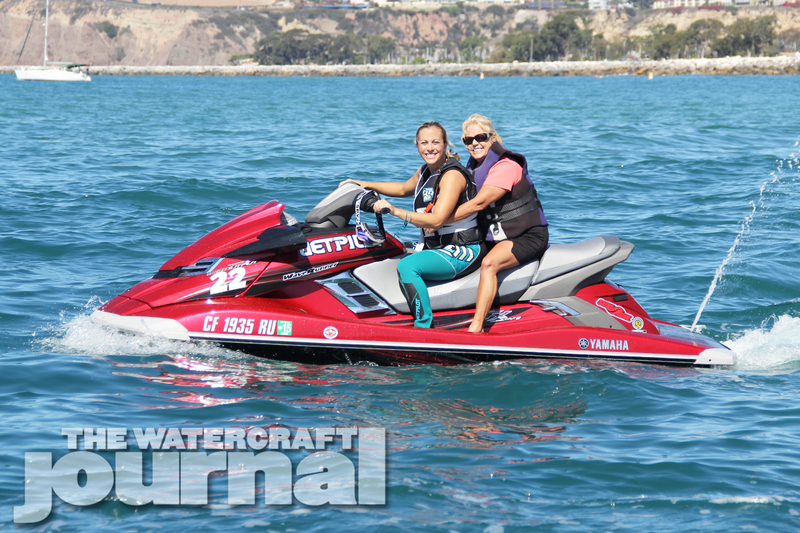 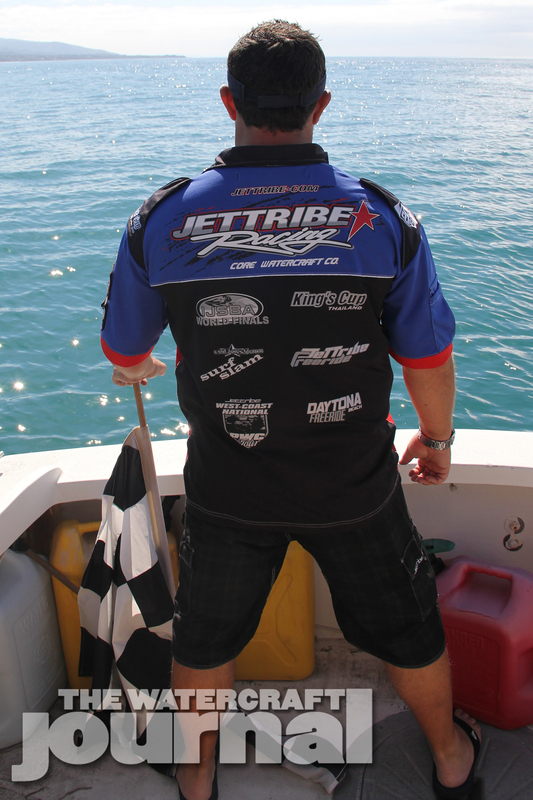 A calm, overcast start turned into a bright and sunny finish at the Jettribe Dana Point to Oceanside and Back offshore endurance race on Sunday, September 21, 2014. 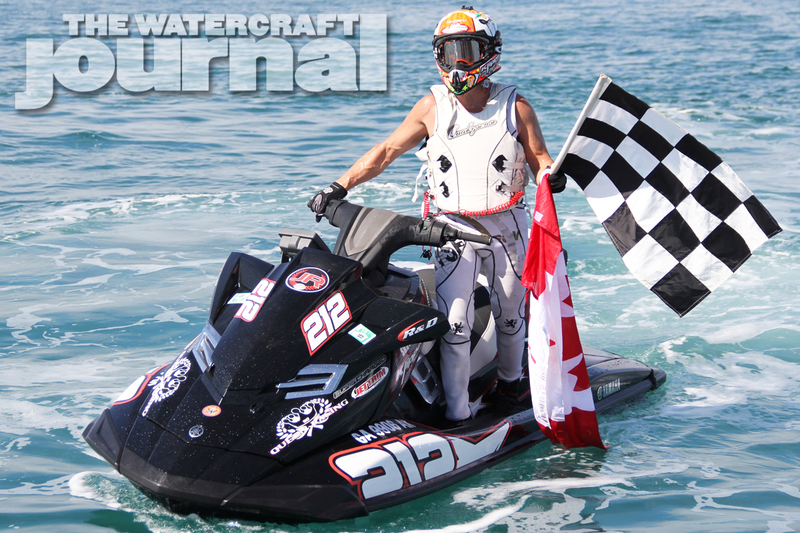 Promoted by Ross Wallach of RPM Enterprise and presented by Hydro-Turf, Sea-Doo, Hot Products, Sea-Tow, Jet Re-Nu, Oakley, Kawasaki, Watercraft Journal, ProRider Magazine, and www.pwcoffshore.com, all helped in bringing this race back after no race last year. 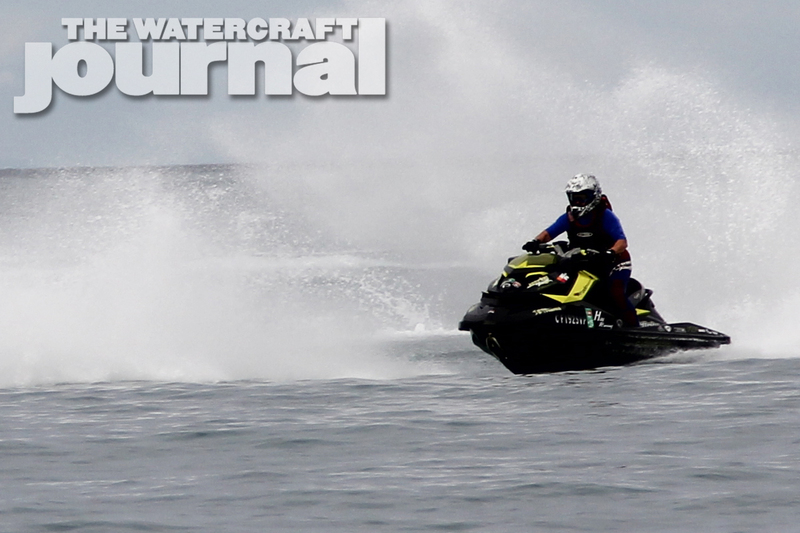 As the 17 racers gathered for the start of the race, the conditions were uncharacteristic for the Pacific: eerily smooth waters and a mere 1-2 feet of swell. 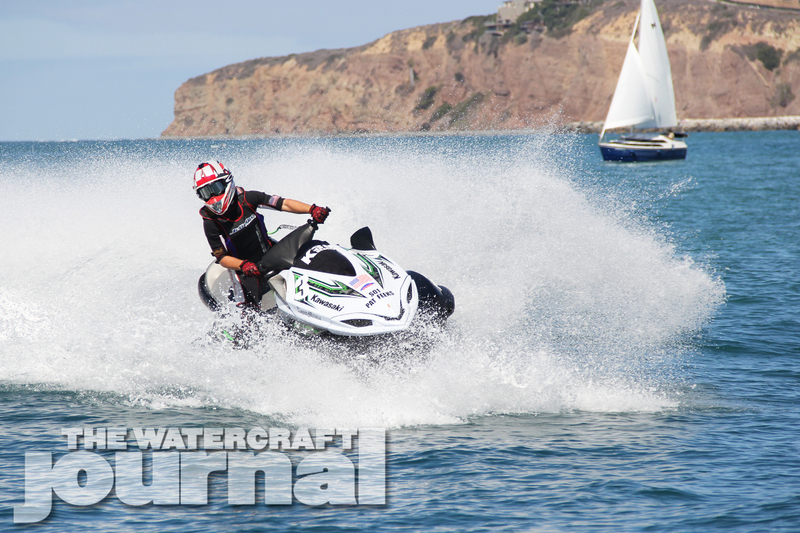 When the green flagged waved, the calm conditions allowed a drag race start of top end performance at full throttle speeds. 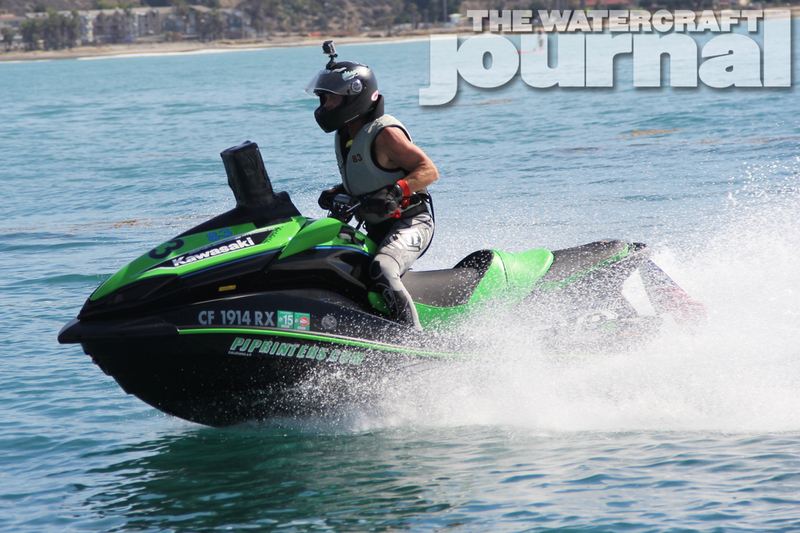 Mike Klippenstein, riding his R&D turbo Yamaha FX Cruiser, quickly took the lead position with Chris Heinrich, riding a built Yamaha FZR, hot on his heels. 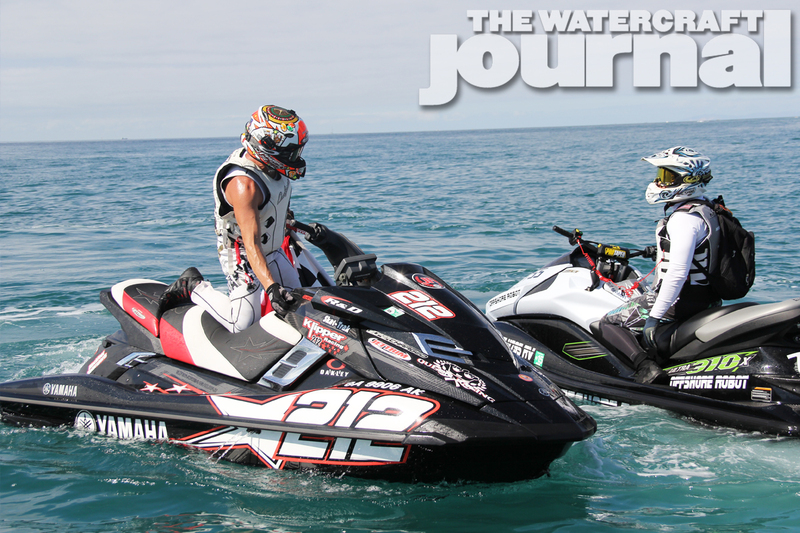 Close behind the two leaders were John Feeney on his Pro Open Kawasaki Ultra, and Michael Perry of Factory Kawasaki on his Manufacturer Stock 310R. 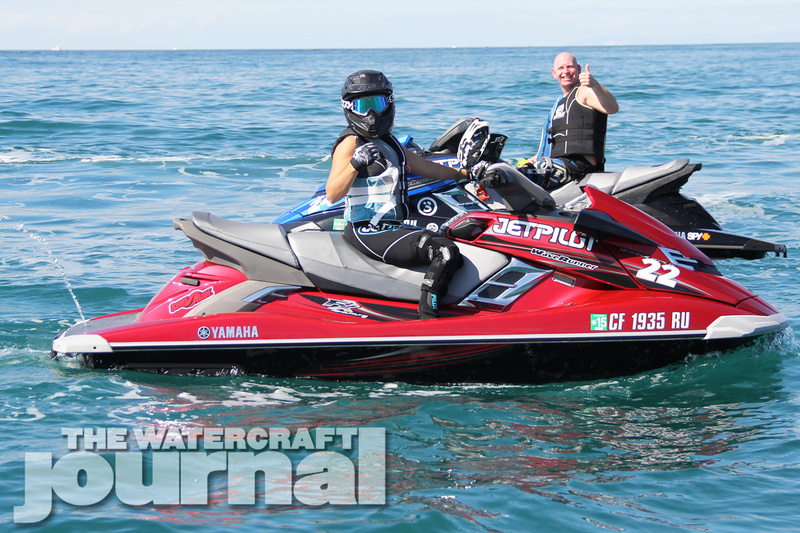 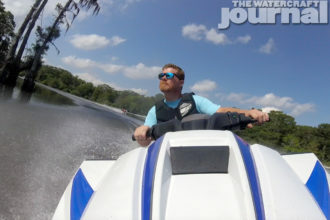 Hot on Perry’s wake were Manufacturer Stock riders Jeff Lane, on his new Kawasaki 310R, and Curtis Marker on his brand-new 2015 Yamaha FX SVHO. Abeam these fast paced Manufacturer Stock boats in another Yamaha and Kawasaki position battle were Santiago Kuan, riding his Yamaha FX, and Derek Newton on his Kawasaki Ultra. 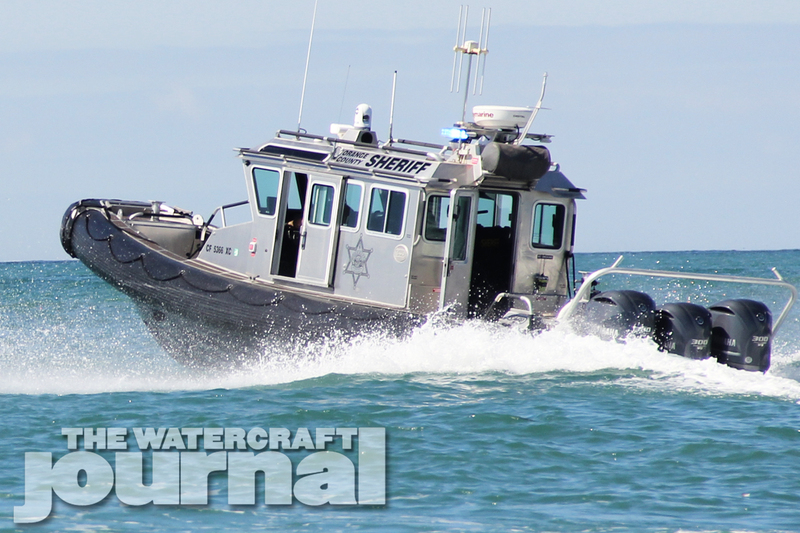 Following this lead group was the rest of the field in an all-out sprint through glassy waters to the turn boat outside of Oceanside Harbor. 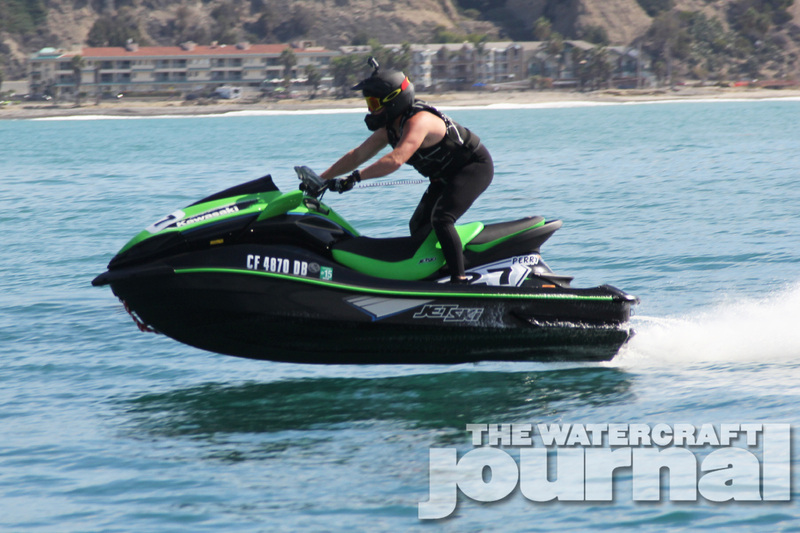 The conditions going south were in the riders’ favor, going with the current and direction of the swell all the way down. 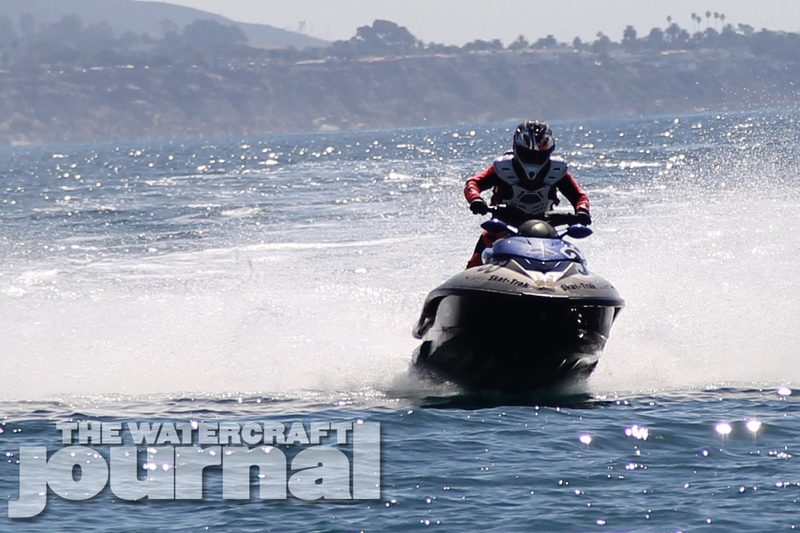 After the turn boat, the seas gave the riders a little bit more of a challenge with oncoming swell and parting clouds giving way to bright, sunny and clear conditions. 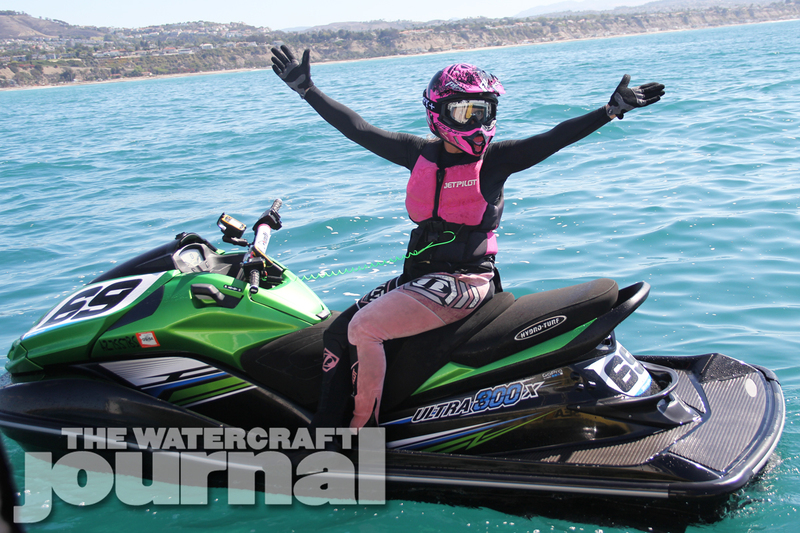 Rider Evelyn Mangan suffered a late start due to battery issues, starting 18 minutes behind the field. 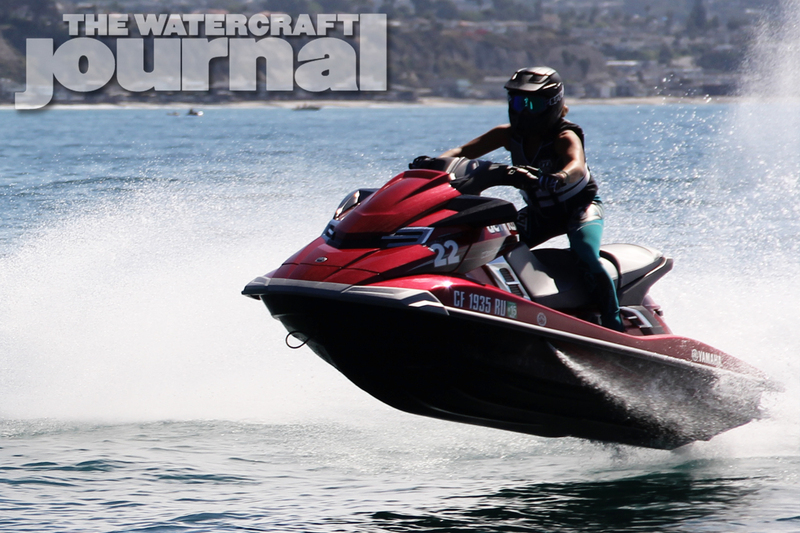 But the trials were not over for Mangan, who was pulled over by Dana Point Harbor Patrol just seconds after crossing the start line for getting on the throttle just before the 5mph zone ended. 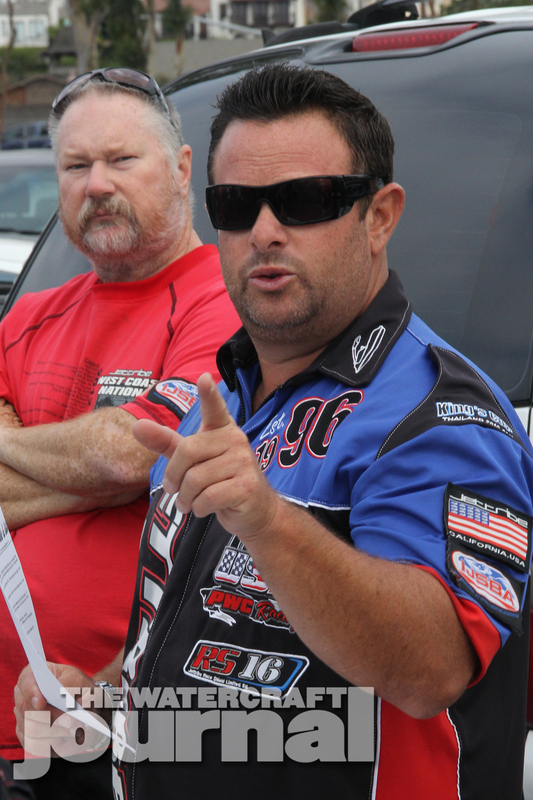 This was a first for race director Ross Wallach and the RPM race series, having a racer pulled over during a competition. 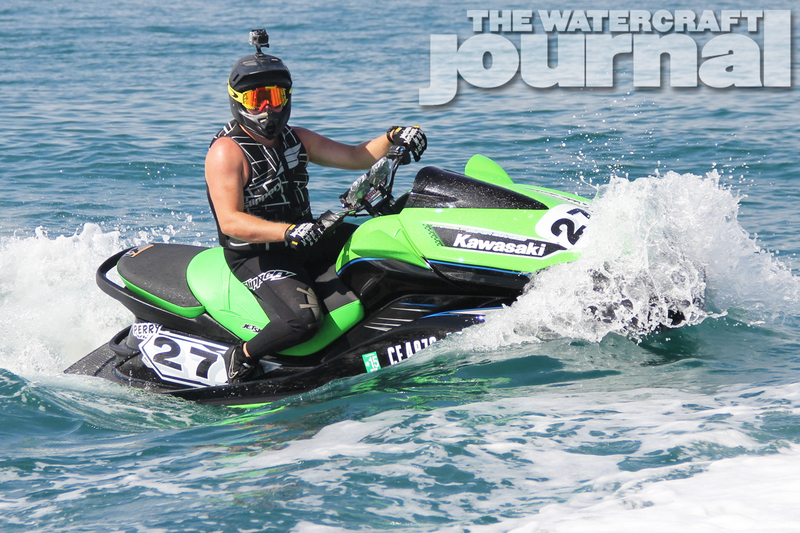 At the top of the field, Mike Klippenstein rode his Yamaha through smooth conditions and across the finish line in a battle for the top spot, finishing just 3-seconds ahead of John Feeney on the Offshore Robot Kawasaki Ultra. 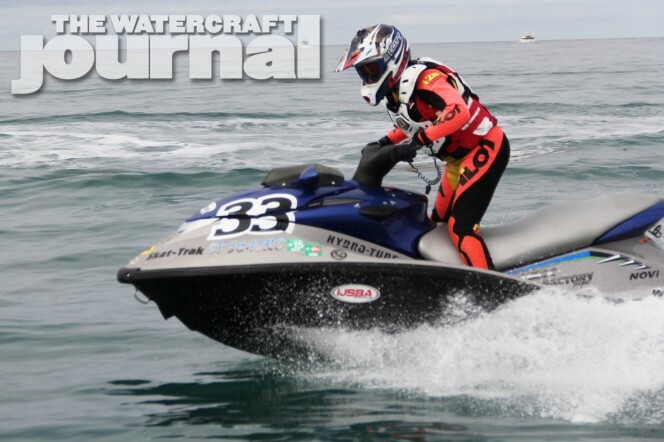 Only one minute behind the Pro Open boats was the Manufacturer Stock class winner and impressive third overall finisher, Michael Perry on his Kawasaki Ultra. 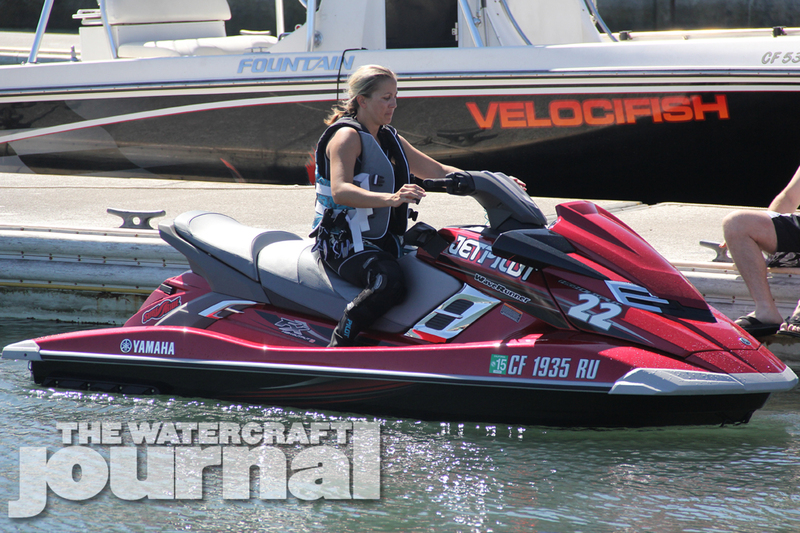 Coming back from a knee injury sustained during the LB2CAT in July, was the #22 Yamaha of Brittany Marker, the first woman across the line at Dana Point and boasting a 10th place overall finish. 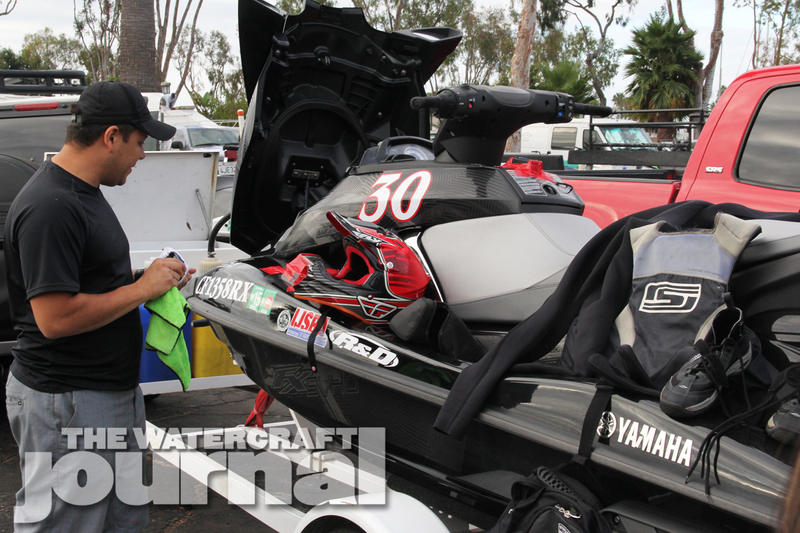 Shortly after, Chris Heinrich finished in 12th place due to boost line issues on his impressive Yamaha FZR. 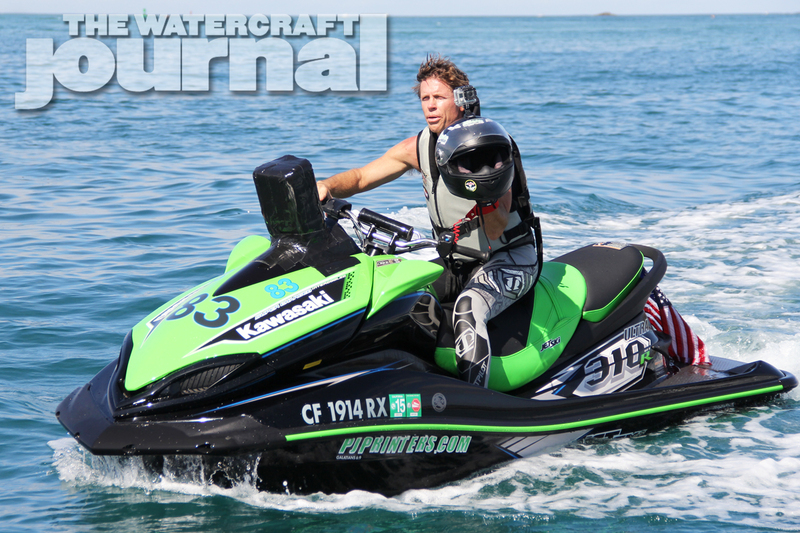 One minute later, 15-year-old Brennan Newton, the younger brother of sixth place finisher Derek Newton, finished his first ever race on a borrowed Kawasaki from Shawn Alladio. 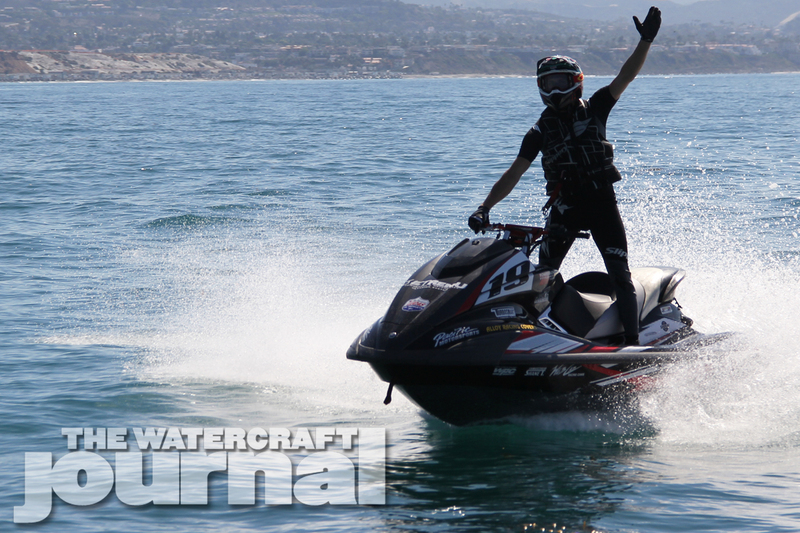 Newton threw his hands in the air after crossing the finish line in excitement of his successful ride. 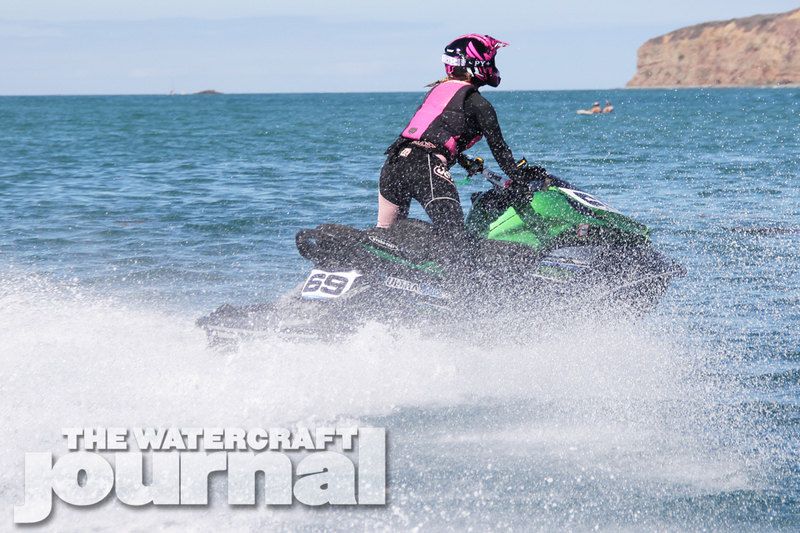 As racers continued crossing the finish line, more close battles ensued, and although a late start, Evelyn Mangan took advantage of the familiar “lake-like” conditions, setting a blistering pace and passing two riders before the finish line. 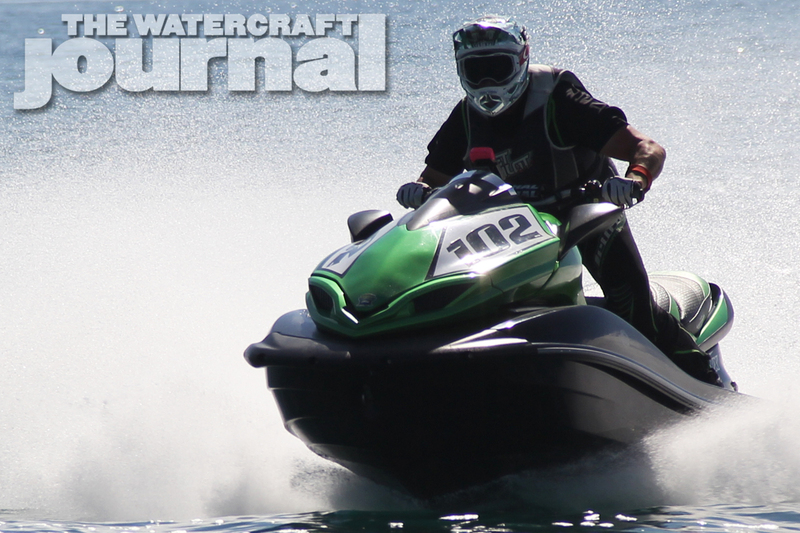 A few minutes later, former world champion, Sheldon Messick, crossed finished on a borrowed Polaris, racing in order to qualify for the upcoming IJSBA World Finals. 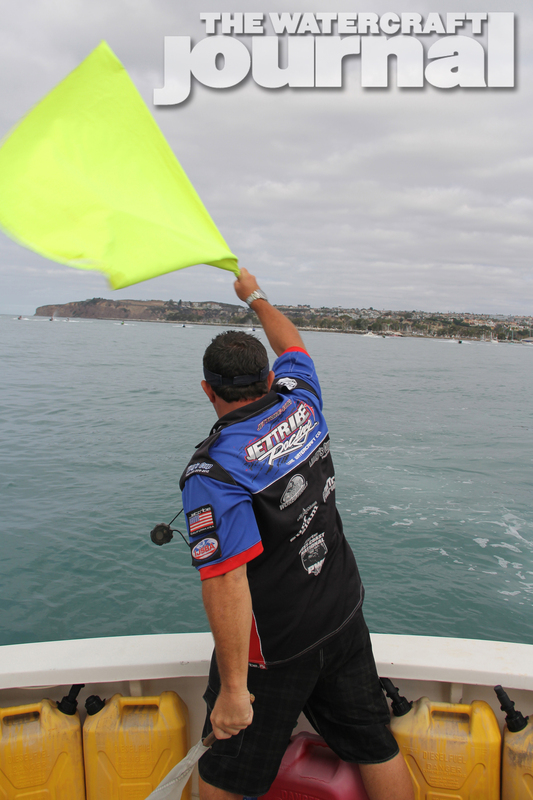 All 17 starters finished the race under their own power within the time allowed, even with some mechanical issues and one rider being pulled over by the Harbor Patrol. 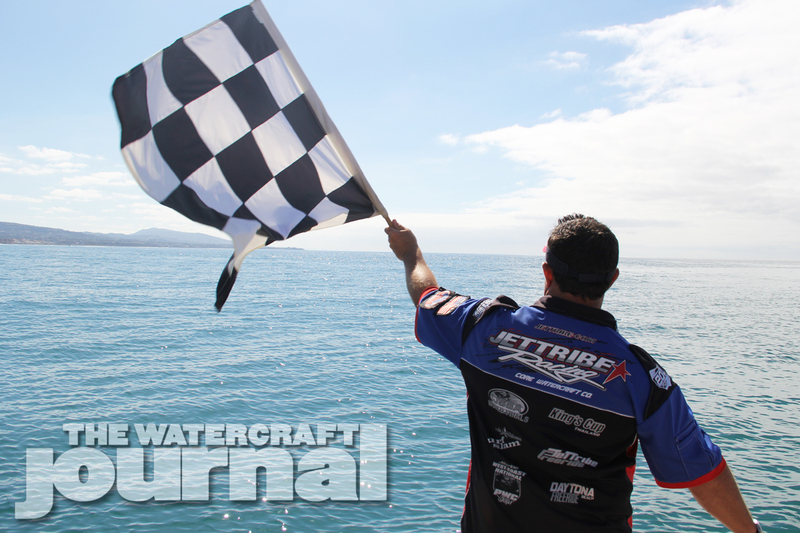 Ross Wallach was happy to announce that it was the first offshore race in the series to finish without a single DNF in 8 years. 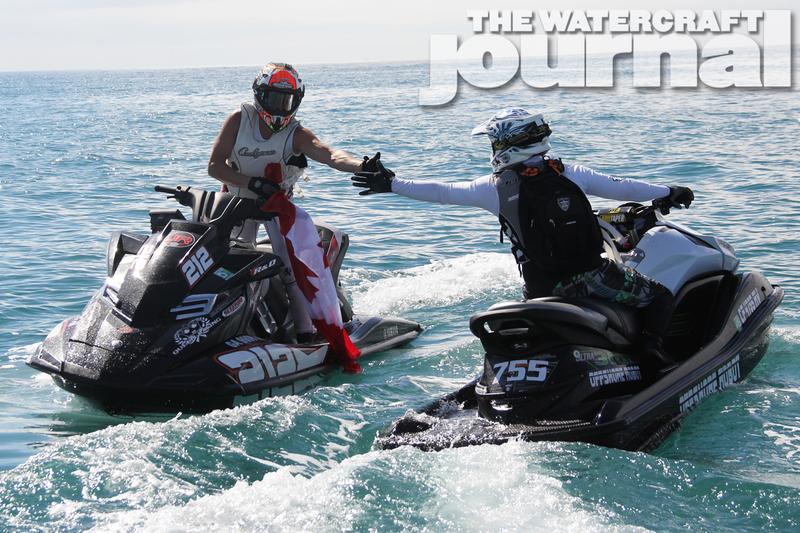 This rare occasion made for a great day of racing and happy competitors all around.